Easy-Pack Tilapia Fish Collagen Powder is hydrolysate product,so as to function better in the digestion and absorption process. With its low molecular weight, the absorption in the small intestine is superior to other collagen products, which leads to a more efficient collagen synthesis in different parts of the body. 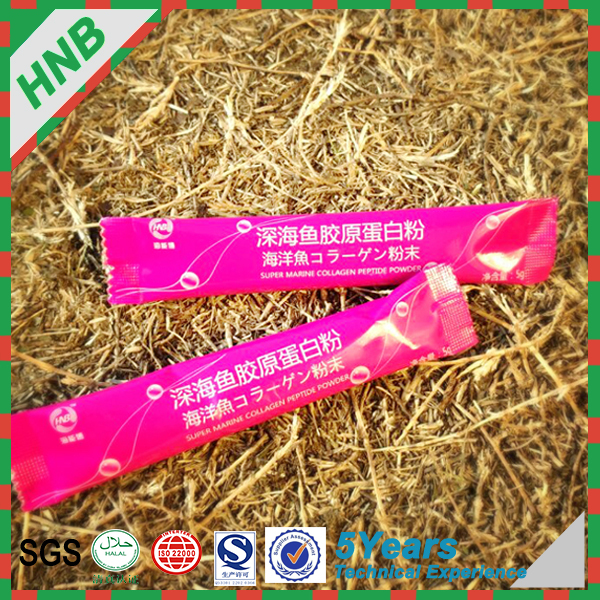 HNB Easy-Pack Instant Fish Collagen Powderis composed of nineteen amino acids and is a rich source of glycine, proline, alanine, and hydroxyproline. 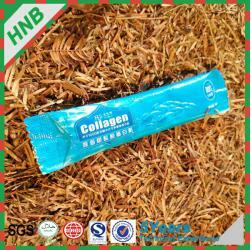 HNB Easy-pack Tilapia Fish Collagen's main benefits: skin health,cartailage, tissue growth, food supplement. Collagen can be added into function food, food supplement,beverage,ect. Collagen is used in cosmetic surgery and burns surgery. It is widely used in the form of collagen casings for sausages, which are also used in the manufacture of musical strings.